Usually reforms are for public services, but it seems that you can ‘reform’ your skin, too. 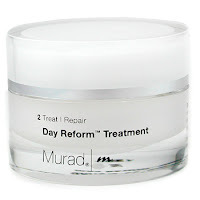 Murad’s Day Reform Treatment might have an unusual name, but it is an excellent treatment for fighting against wrinkles. Murad treatment exfoliates gently for a better looking skin. After using it, your skin you be smoother and will look luminous and firmer.